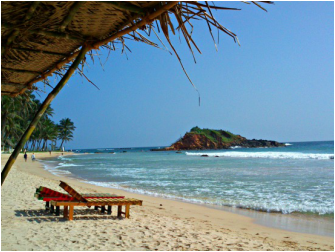 Unquestionably the most popular of Sri Lanka’'s coastlines, the spice island's southern coast is nothing short of a beach lovers' paradise. This is where you'll find the most comprehensive facilities and most sociable bars, and no shortage of accommodation, although there are still numerous peaceful spots where it's easy enough to find peace. With perfect beach weather expected here between November and May, you can enjoy long hours of sunshine on the countless bays and beaches that run from Galle, in the west, along the south coast to Tangalle in the east, and beyond to the perimeter of Yala National Park. Along with Yala, Uda Walawe National Park lies within easy reach, while the hills and Tea Country rise protectively to the north. The southern coast was amongst the worst hit, but - thanks to well placed aid and determined locally run projects - the region shows few of the scars you might imagine. The port of Merissa is a great example; its fishermen, their fleets destroyed, expected to face years of hand-outs, but many now enjoy new careers as whale-watching crew, instead. Mrissa's coast is famed as one of the world's best places to spot Blue Whales, Sperm Whales and Dolphins. The boats, usually complete with on-board naturalist, depart from Merissa harbour at around 5am. Five kilometres southeast of Galle, the ever-expanding village of UNAWATUNA is now firmly established as Sri Lanka’s most popular resort for independent travellers and remains a pleasant spot to while away a few days, even if rampant commercialization and ever-growing hordes of visitors have now significantly eroded the village’s former sleepy charm. If you don’t mind the increasing hustle and bustle, there’s still plenty to enjoy, including a decent, if heavily developed, stretch of beach, a good selection of places to stay and eat, plus varied activities ranging from surfing and diving through to yoga and cookery classes, while in recent years Unawatuna has begun to compete with Hikkaduwa as Sri Lanka’s beach-party capital, with noisy discos thumping out beats along parts of the beach during the season. Nestled in the southern face of serendipity isle, lies the un-prepossessing town of Koggala, an unexplored haven of golden tranquil, whispering enchanting welcomes to the traveler seeking a holistic experience off the beaten track. Steeped in volumes of colonial history, this turquoise lagoon, dotted with rocky islands and fringed with mangroves, beckons with the promise of an unforgettable experience. Home to a historian's delights in the forms of museums and forts, with a cornucopia of adventure activities to be enjoyed, Koggala is an ideal base for indulging in an authentic beachfront vacation. The area also showcases turtle hatcheries, spice gardens, one of the south's most absorbing temples and even a small rainforest reserve. For the vacationer in search of the ultimate restful journey that touches both mind and soul, Koggala is well worth a visit. Located on Sri Lanka's picturesque South Coast, Weligama still offers the charm of an idyllic fishing village while providing excellent accommodation choices, catering for all budgets and needs. 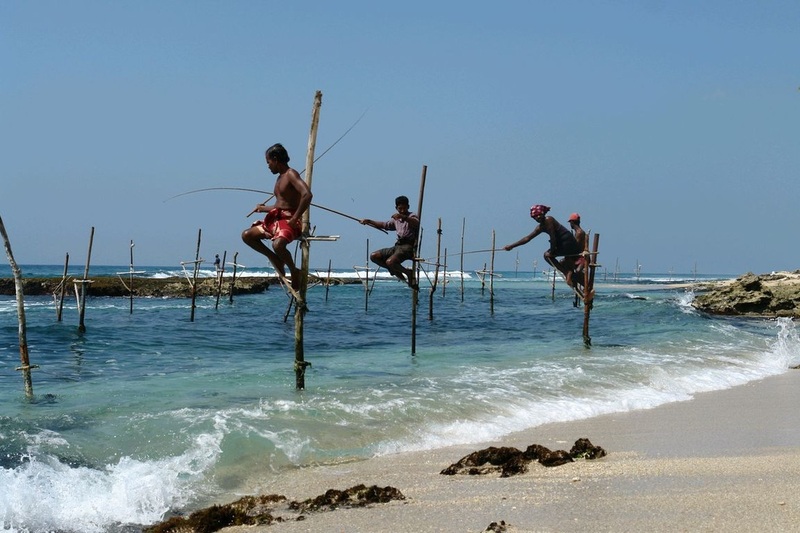 Enjoy walks along uncrowded beaches, still untouched by mass tourism and be fascinated by the famous stilt fishing men.Weligama beach is famous for its stilt fishermen. In chest-deep water on the beach, just few meters off-shore, are the stilt fishermen perched on a cross bar- one on one- of a single pole planted into the sea-bed. These fishermen, the poorest of the poor, spend hours with their lines cast out to the sea to catch small fish. Another highlight is the traditional Devil Dance, a Southern Sri Lankan special. Known for its healing powers, Devil Dancers are invited to help speeding up the recovery process of illnesses. A great thing to watch and/or even participate. 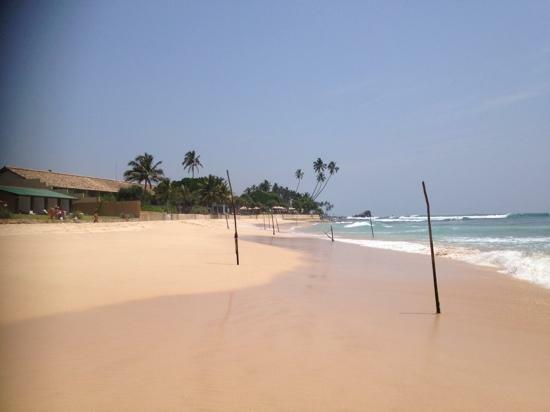 Mirissa and its breathtaking sandy beach pretty much transforms your dreams and visions of a tropical paradise into an everyday reality.This small sandy tropical beach boasts some of Sri Lanka’s best and most stunning sunsets and sunrises. Mirissa has also developed into Sri Lanka’s leading whale-watching centre, with excellent chances of seeing blue and sperm whales close to shore. There’s reasonable swimming, though conditions vary considerably along different parts of the beach, so it’s worth asking at your guesthouse about where’s safe to swim before venturing into the water. You can also snorkel here, though you won’t see much apart from the occasional pretty fish. Snorkelling “safaris” and numerous other watersports, including sport fishing and sea kayaking, as well as cruises around the bay and beyond, can be arranged with Mirissa Water Sports. In Tangalle you escape the tourists and discover the real Sri Lanka, away from the tourist masses of the west coast, offering you a unique experience of this beautiful country. 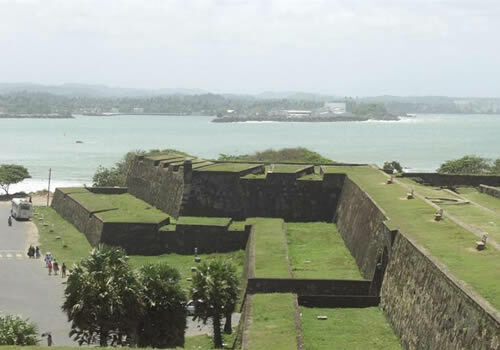 Even the journey here is breathtaking, Tangalle is about a two-hour drive from Galle along the spectacular A2 coast road - but takes longer if you stop to stare!The best months to visit this scenic town starts from November through April, you can always drop by for a visit. 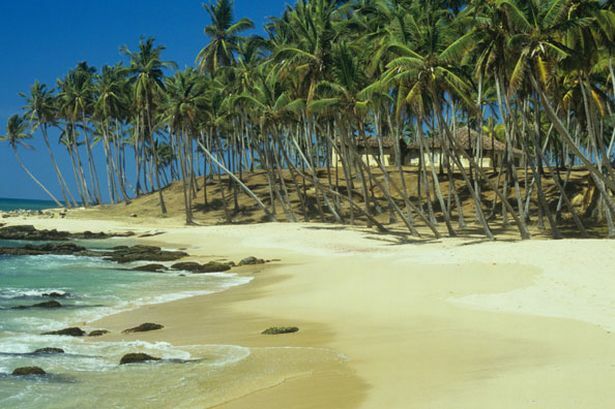 Tangalle the land of white sand and basking sun is a place not be missed when you visit the coastal South of Sri Lanka.